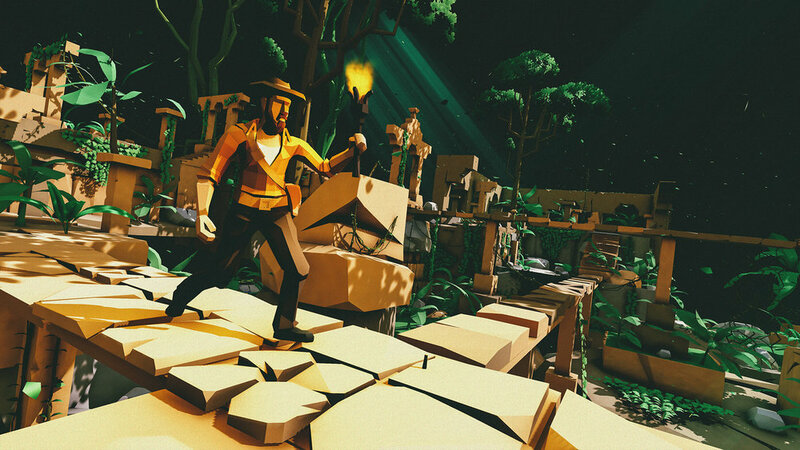 The Lost Lands is a high quality modular stylized art package which contains carefully crafted animated 3D models which will help you to build nature environments, jungle landscapes & temple oriented scenes. Perfect for mobile, VR , desktop & consoles! All that packed into one easy-to-use package that comes with example scenes, FX, Color Grading profiles & prefabs. Perfect for mobile, VR , desktop & consoles! This asset was fully created in Unity3D engine. All elements are combined with latest standard shader, Shuriken particle system, Animator for animations & each element is packed into prefab, so you can just drag’n’drop the element with spaceship controller and start flying in a beautiful environment. Each element has been carefully crafted with in-game use optimisation in mind. Everything has been optimised for games triangles, textures, UV maps atlases etc. This asset will work easily with mobiles & PCs, but keep in mind that while creating example Scenes in Unity we were focusing mostly on standalone version. That’s because example scenes includes a lot of elements.